Festive and fabulous outfits for the holiday season. The holidays are in full swing and we know that your nights and weekends are filled with socials, dinners, and parties. We all have that one specific holiday outfit we’ve been planning, but what if your calendar says you need more than one? Here are a few ideas you can find inspiration from! 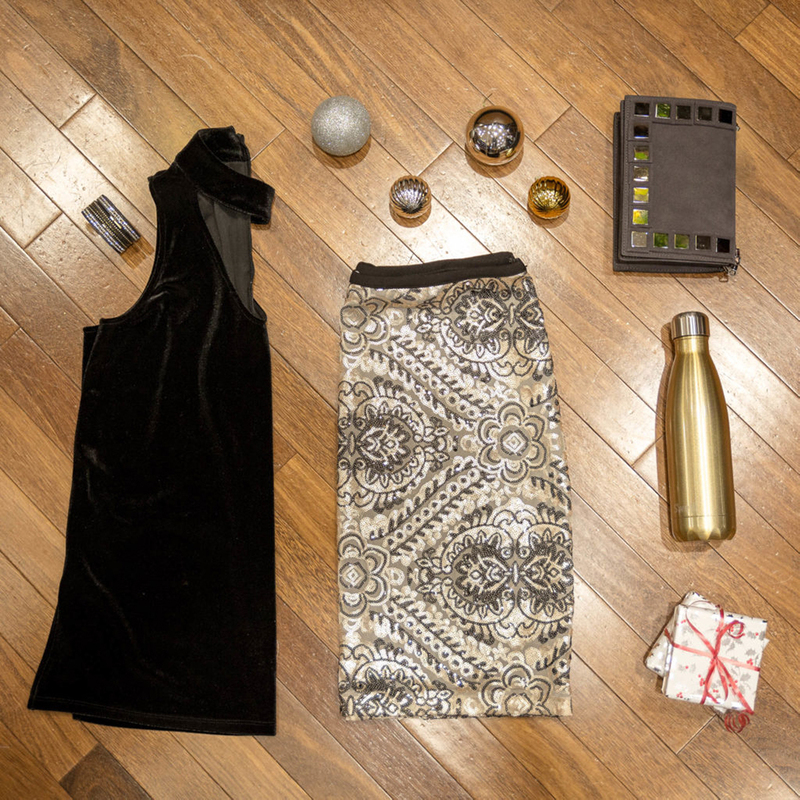 The best part – you can find all these items in-store. When you think of holiday colors you automatically think of red and green, but don’t forget about how festive silver and gold can be. These two colors are great ways to spice up a holiday outfit and make you shine at the Christmas party. May your days (and outfit) be merry and bright! If the bright red color of this top doesn’t turn heads, the trendy choker neckline will. 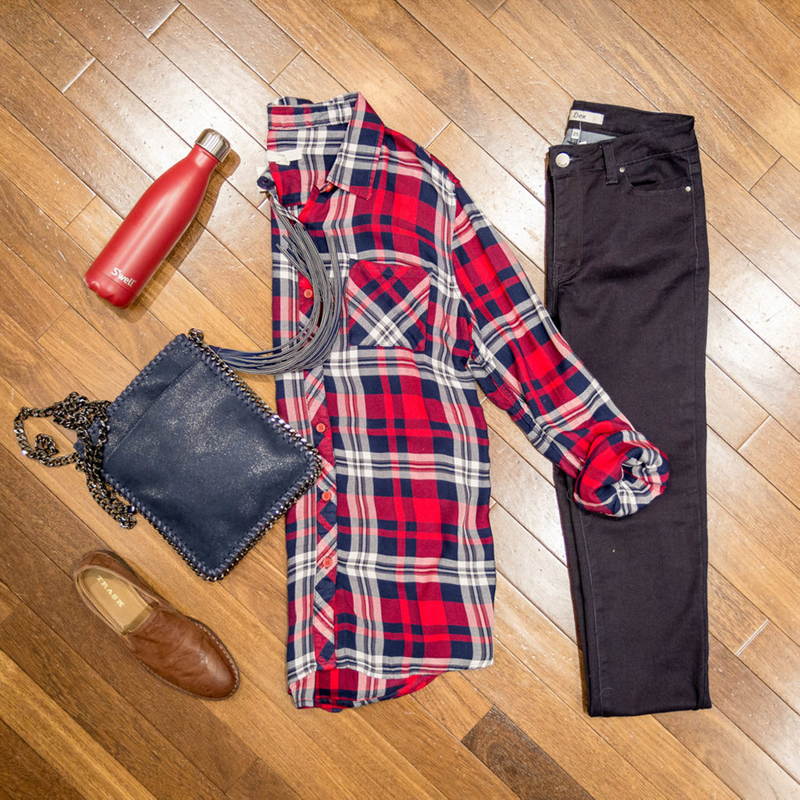 This bold top is perfect for a night out, and even the company holiday party. Either way, you will look absolutely stunning! Ladies, we know how important it is to look your best at holiday parties, but we also know that if there is ever an opportunity to dress casual for these events, you’d take it! This look is casually festive and perfect for cuddling around the fire with the family. Simple, comfortable, and most of all, elegant! 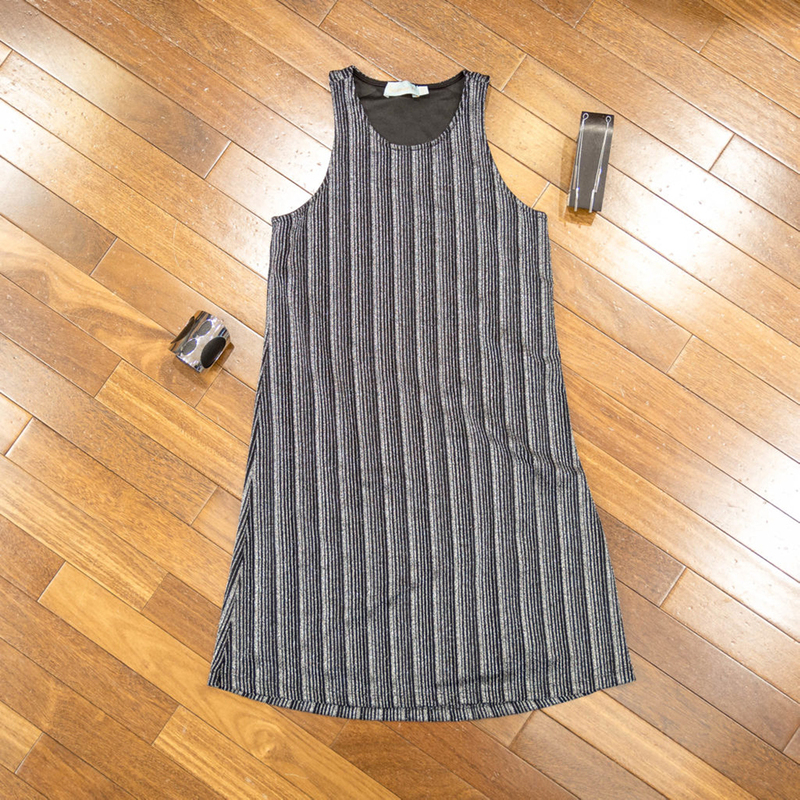 This beautiful Veronica M dress is perfect for holiday cocktail parties, and even New Year’s Eve parties. Pair it with some great jewelry pieces, add a small clutch, a trusty pair of heels, and you’re ready to take on the night! Red a little too bold for you? Not everyone likes to wear bold and bright colors. Plus, we know some people are more in love with Christmas than others. 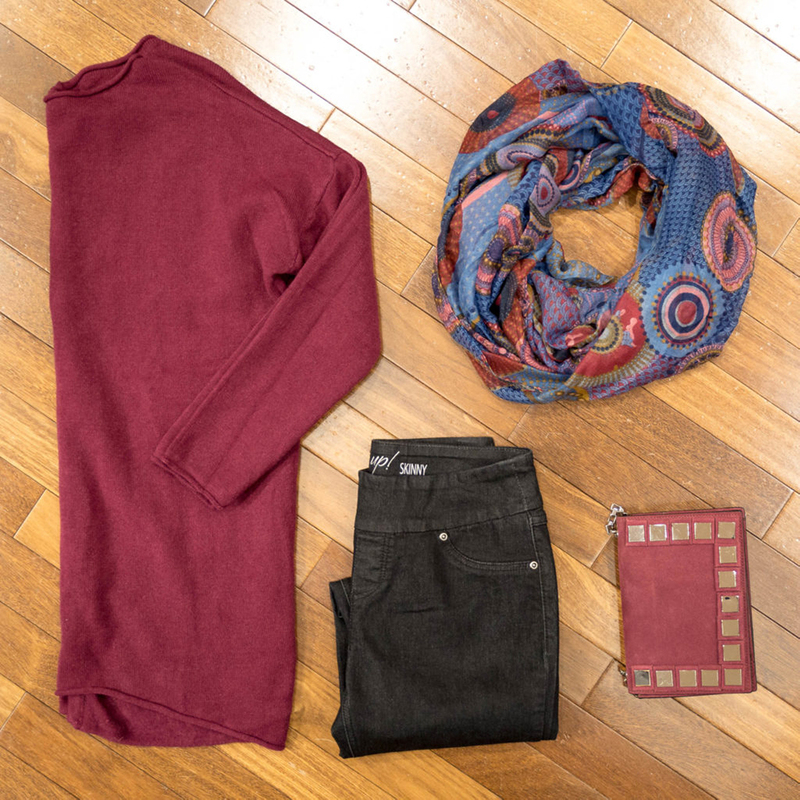 Another great, and festive, color to wear this time of year is this lovely cranberry. Guys, if you’re looking for a casual look that also says, “I’m ready for Christmas,” this is the look for you. The maroon sport shirt gives a subtle hint of the holidays, while the gray quarter zip keeps things casual… and comfortable! 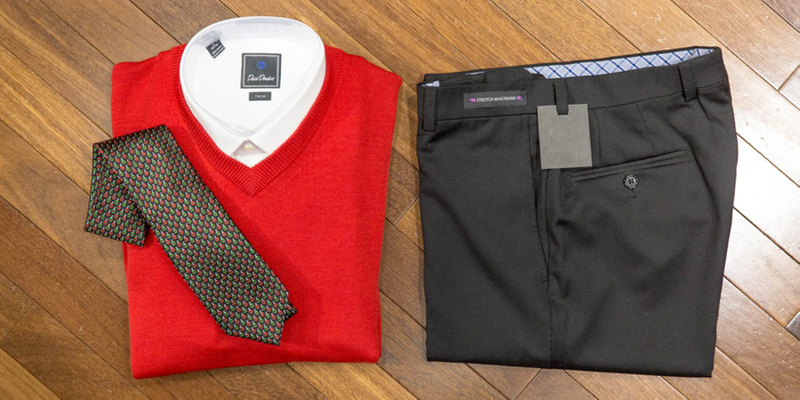 Nothing says Christmas like a classic red sweater and a festive tie! Here’s a timeless look that will definitely put you in the holiday mood! We have a tree full of Christmas ties that will the perfect finishing touches to your holiday look. The Filling's approved Holiday Gift Guide. A guide to the fun and festive gifts for him and her.